Add Mixing Bucket & Hole Cutout? 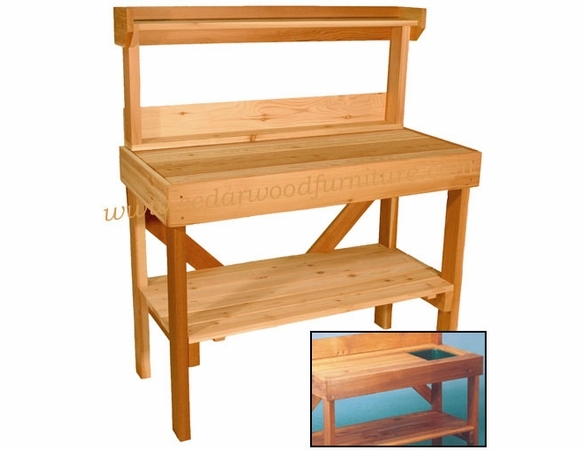 Every gardener will love the Sturdy Western Red Cedar Wood Potting Table from Cedarwood Furniture. 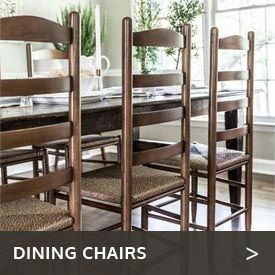 Beautiful as well as practical, this Canadian-made product has been carefully crafted. It will take the strain off your back and knees, and make gardening a pleasure rather than a pain. Measuring 48” wide by 58” high by 24” deep, it provides ample workspace as well as lower and upper shelves for storage. An optional Rubbermaid soil mixing bucket and hole cutout are available at an extra cost. 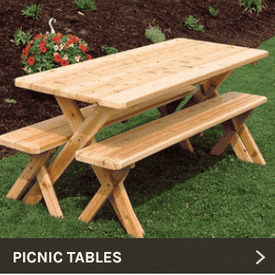 Keep your lawn stylish with a Cedar Potting Table from our Home and Garden line. 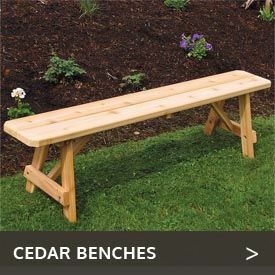  Natural Grain Western Red Cedar.  Optional Rubbermaid mixing bucket w/ surface hole cut out.  Quick & Easy set-up instructions.